Old Mutual is the best large employer in South Africa, according to the Corporate Research Foundation (CRF) Institute’s annual Best Employers Certification Index for 2012/13. Unilever South Africa ranked No1 Large Sized Employer and No1 FMCG Employer at the CFR SA Best Employers Awards 2011. 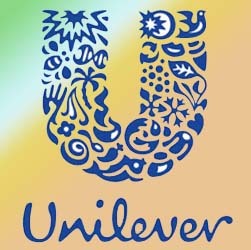 Unilever also ranked 4th on the Overall Best Employer. Antoinette Irvine, HR. Vice President, Unilever South Africa, received the award on behalf of the company at an awards function in Johannesburg last night. The Manufacturing, Engineering and Related Services Education and Training Authority (merSETA), in association with Plastics|SA, has launched an innovative pilot study with the aim of developing a better understanding of the shape and size of the Plastics Industry in South Africa. On the 16th and 17th of October 2012 the Viridis Africa conference is to be held at the Killarney Country Club in Lower Houghton, Johannesburg, South Africa. The event is dedicated to the introduction of clean technologies and associated business/investment opportunities. Spindle Communications provides marketing and communications advice and solutions for associations, companies, local authorities and brands at the forefront of the cleantech and low carbon economies. On the 16th & 17th October 2012 the second Clean Technology business and investment matchmaking conference for the African continent is to be held at the Sandton Convention Centre South Africa. Called Viridis Africa, the event is dedicated to entrepreneurs and corporates who are seeking funding to introduce clean technology solutions and services. Southern Africa’s Transport hub, O.R. Tambo International Airport today announces its “Gold Sponsorship” status of Air Cargo Africa 2013 which takes place for the first time in South Africa from 20th – 22nd February 2013 at the Emperors Palace in Johannesburg’s East Rand. Absa, South Africa’s largest retail bank by customer numbers, today announced a partnership with fashion retailer, Mr Price that will extend the bank’s online payment services to the retailer’s customer base. Applicable to all Mr Price customers, this will provide a secure payment facility when shopping for Mr Price apparel online. The costs and challenges of planning and operating logistics for both on and offshore oil and gas upstream sectors in sub-Saharan Africa will be addressed at a conference in Johannesburg on 23 and 24 October 2012. It is a high moment for South African Commercial Farmers to realize that the world is revolving fast and for true business oriented persons to know that any African country can be your next home and may be for good! The annual Hydropower Africa conference and exhibition in Cape Town in September will focus on new opportunities in the clean energy sectors such as retrofitting hydropower to current dams and helping the mining industry to use excess water to provide onsite power. PetroSA and Cairn India Group (“Cairn India”) have signed a farm-in agreement for exploring for crude oil and natural gas in the offshore Block 1 in the Orange Basin on the west coast of South Africa. The closure of the transaction is subject to South African regulatory approvals. 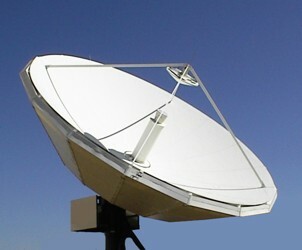 Maxwell Technology has launched a new product, Satellite Hot Spot, which has the potential to transform the business model for providing connectivity to underserved communities in townships and rural areas. This technology can change the world ! VMail is the new Email ! Extraordinary results can be achieved using this technology. Video Email can change the world and the way we communicate Vmail by Vmail ! 1. Google loves Video ! PetroSA, the National Oil Company (NOC) and a subsidiary of CEF (SOC) Ltd), has been working hard at formulating plans to achieve its vision to be a leading African energy company.